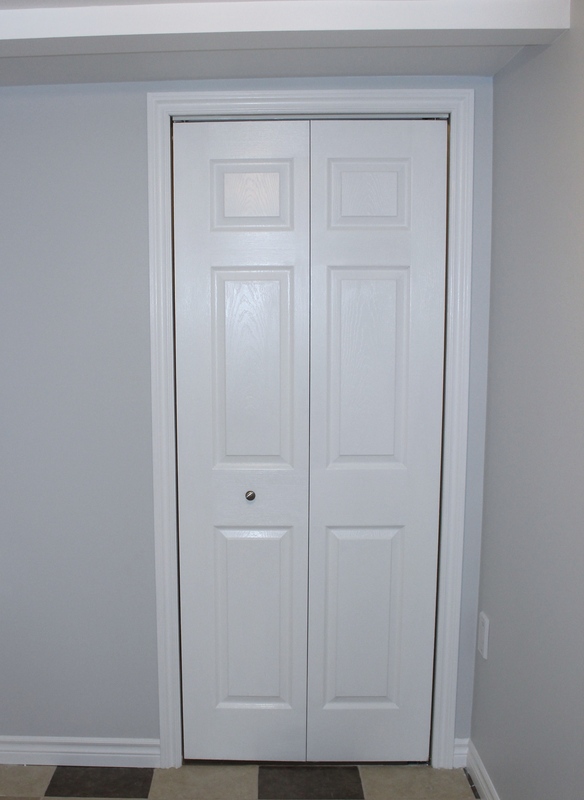 Well it’s week 3 of the One Room Challenge and we got a lot done! See week 1 and week 2 here. We are exhausted, but it was well worth it. 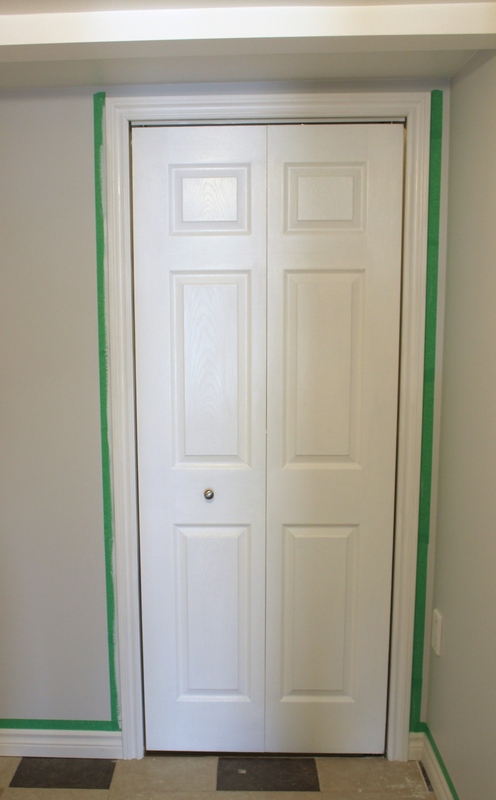 The door, casing and baseboards are all painted. I have to admit though that I’m most excited about our feature wall! 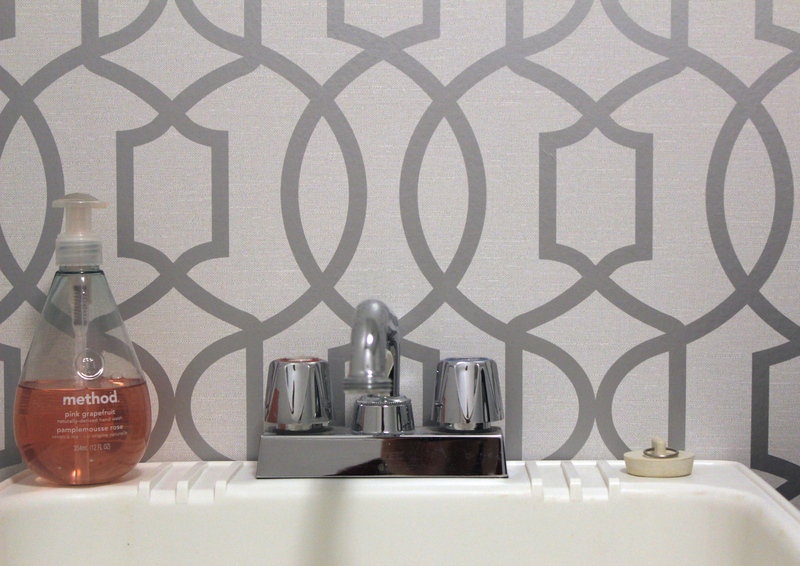 It’s just what I wanted– a metallic looking wallpaper. 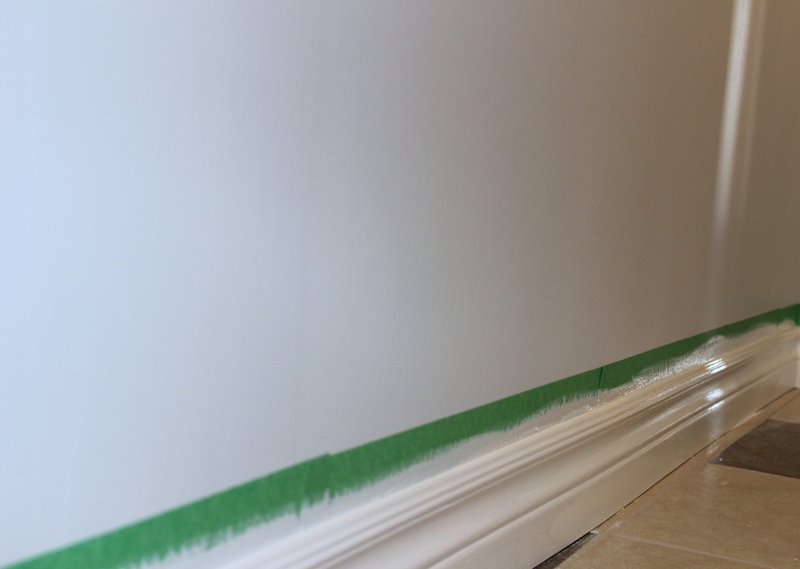 It was our first time applying wallpaper and neither of us knew what to do. The instructions it came with were’t all that clear and youtube videos all seemed outdated, so we kind of winged it. But in the end I have to say it was pretty easy and it only took us about 30-40 mins. 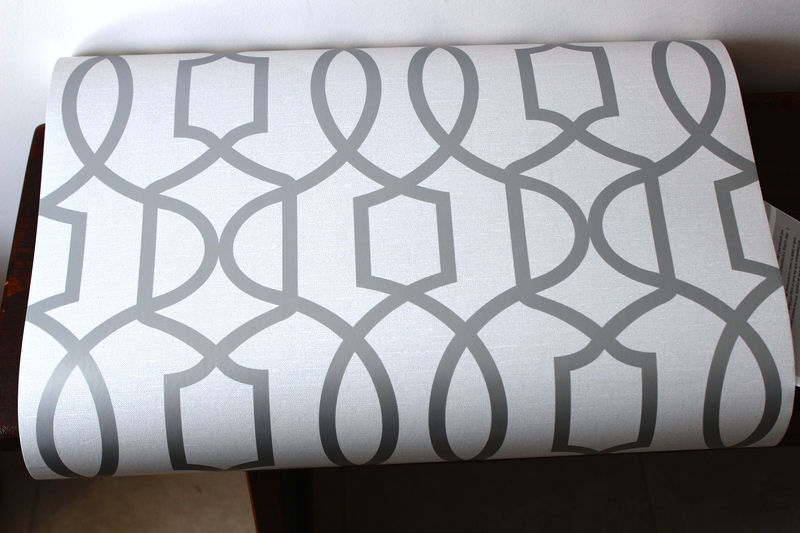 I don’t have any pictures of us installing it because we weren’t sure if we were doing correctly, but if you are thinking of applying wallpaper try the pre-pasted rolls from Bouclair and I’d recommend getting the tray kit. The room is functional, but it is nowhere near being done. I have yet to install shelves, compete a couple of DIY projects, get some storage, a countertop and organize the heck out of it all. 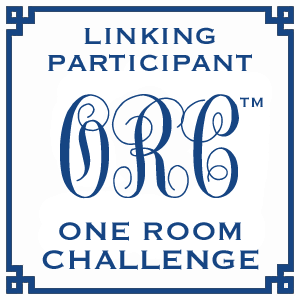 Stay tuned to see more next week and don’t forget to check out the other ORC participants’ projects here. They are amazing! Wooooo. 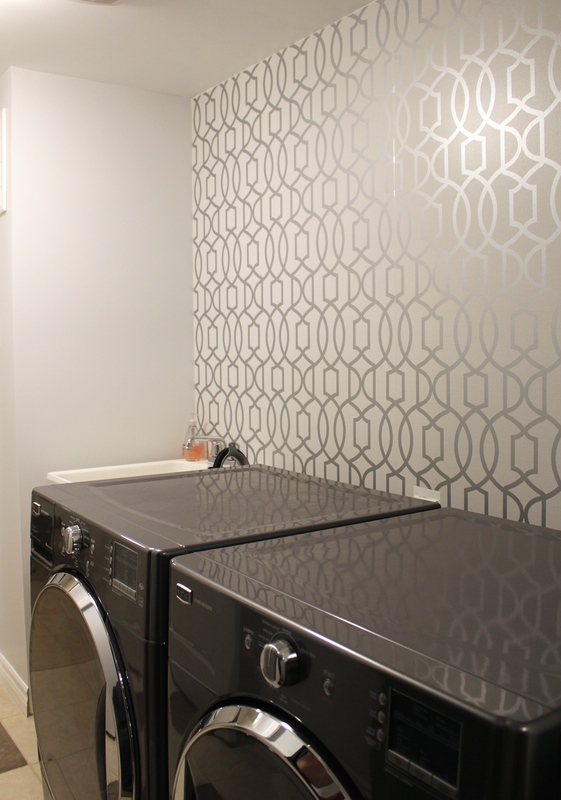 That is a pretty laundry room. The wallpaper is a showstopper. What a transformation already! Great wallpaper. I absolutely love that wallpaper. The room is really coming along. Hi Laura. Thanks for stoping by! We’re waiting for a countertop and shelf for the sink and a few decor things! Oh my goodness! Love, love! That wallpaper! You have been busy! That is the room we need to tackle next! Hi Kendra–thanks so much for stopping by and the encouragement! It’s looking so great! Thanks for the tips on wallpapering; I have never done it and am considering it for my ORC. Can’t wait to see what you do next! Oh.my.goodness! That wallpaper is to DIE FOR! Love it! You are really coming along! I’m so envious…but very happy for you! It looks amazing!